Can you believe a building this beautiful was once set to be torn down? If it weren't for the Great Depression, the Federal Government might have had enough money to do it. Luckily, this sky high clock tower is still around. 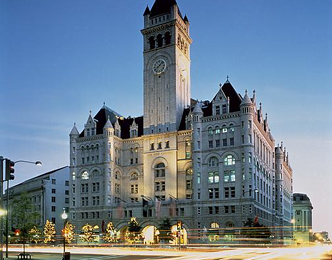 With a view bested only by the Washington Monument, the ornate 315 ft high Old Post Office Pavilion tower provides the ultimate view of the capital city. Located at 12th and Pennsylvania Ave NW, open 7 days a week, Mon-Sat 10-7 and Sun 12-6pm. Encounter it up close and personal by taking our American Scandal Walking Tour.